Model NO. 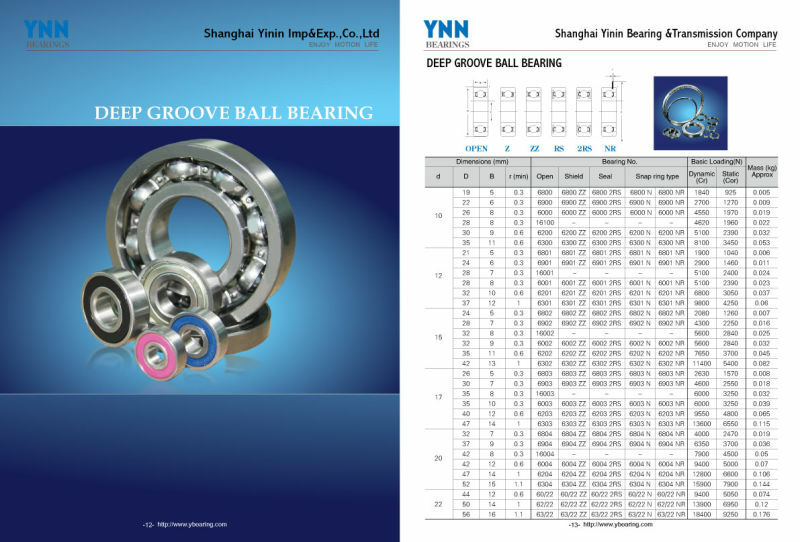 : 6002 Load Direction: Radial Bearing Name: 6002 High Quality Deep Groove Ball Bearing Outside Diameter: 32 mm Main Market: Europe USA and So on Rolling Body: Ball Bearings Outer Dimension: Small (28-55mm) Trademark: YNN brand and Neutral brand Origin: Jiangsu China Separated: Unseparated Material: Bearing Steel Seals Type: Open Bore Size: 15 mm Cage Material: Stainless Steel The Number of Rows: Single Spherical: Non-Aligning Bearings Specification: SIZE: 32X15X9mm HS Code: 84821020 Single Row 6006 Deep Groove Ball Bearing. 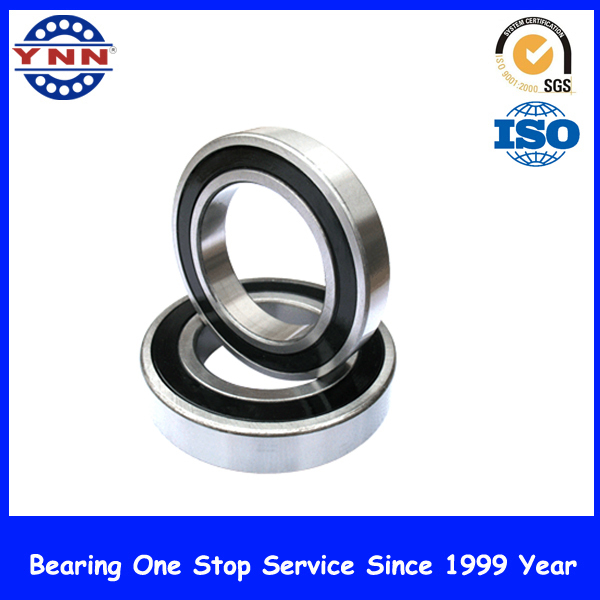 YNN factory: Yinin is a professional bearing manufacturer with 1000 square meters workshops; specializing in ball baring, roller bearings, automotive bearings and some non-standard bearings.YNN history: Our company has been through 17 years since our establishment in 1999. 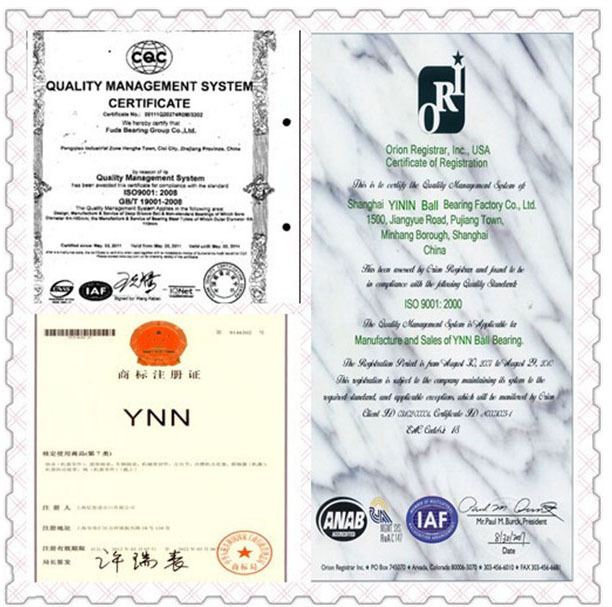 Our own bearing precision inspection centre is strictly certificated by ISO9001 to insure the nice and stable.YNN estimate: Products sold to more than 50 countries around the global, the most comments among our clients is "constant quality" .we firmly believe that the "quality" is the most important factor of the survival of an enterprise. Only with good stable quality you can move on and develop step by step. FAQ Q: Are you trading company or manufacturer ? A: We are trading company and manufacturer. Q: How long is your delivery time? A: Generally it is 5-10 days if the goods are in stock. or it is 15-20 days if the goods are not in stock, it is according to quantity. Q: Do you provide samples ? is it free or extra ? A: Yes, we could offer the sample for free charge but do not pay the cost of freight. Q: What is your terms of payment ? A: Payment=1000USD, 30% T/T in advance ,balance before shippment. Contact us if you need more details on Bearing. 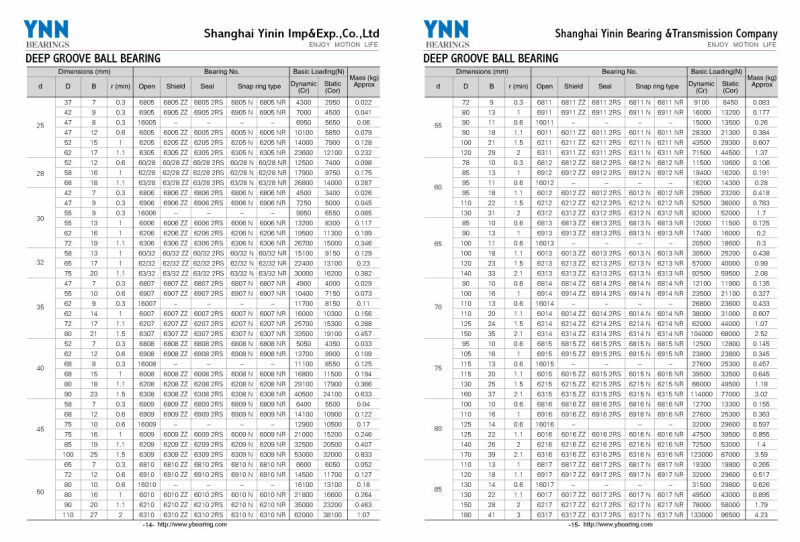 We are ready to answer your questions on packaging, logistics, certification or any other aspects about Deep Groove Ball Bearing、Ball Bearing. If these products fail to match your need, please contact us and we would like to provide relevant information.